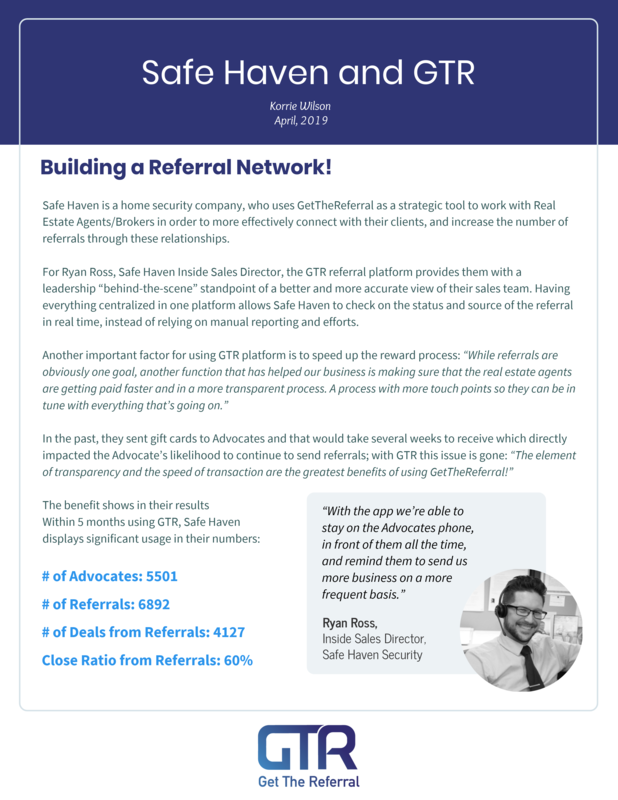 Safe Haven is a home security company, who has been using GetTheReferral as a tool to further enhance their relationship with Real Estate Agents/Brokers. With GTR Referral Software they are able to track and pay faster their Advocates, which impacts positively on their referral and deals. 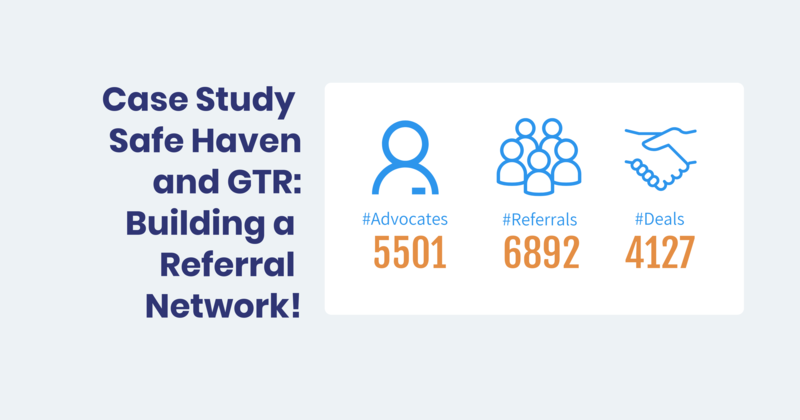 Within 5 months of GTR implementation, the results are impressive.